Date: Feb 15 2019, 11 a.m. - 2 p.m. 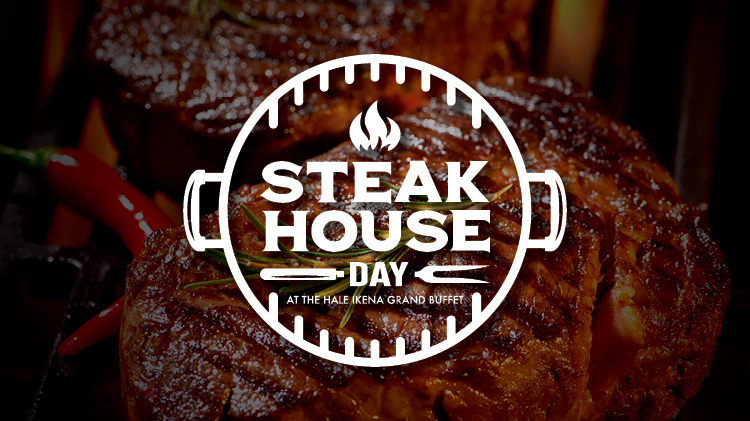 Enjoy a fresh grill to plate steak at the Hale Ikena plus a great buffet! Ask Hale Ikena staff for monthly dates and details.